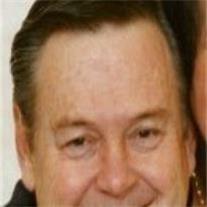 Willis Lane Wilcken Sr. (67) Born in Rexburg, Idaho Apr 26, 1945 passed away peacefully Oct 27, 2012. He was preceded in death by his parents, sister and eldest son, Willis Jr. Survived by his loving wife of 44 years Mildred Rivera, children: Lane, Cathy, John, Joseph, Lydia, Clarissa, Jared and 41 grandchildren. Willis was a lifelong car, airplane enthusiast and entrepreneur. He was a great husband, father and friend to many. Services will be held at the LDS chapel on Adobe & Val Vista in Mesa at 10am concluding with interment in Fillmore, Utah.